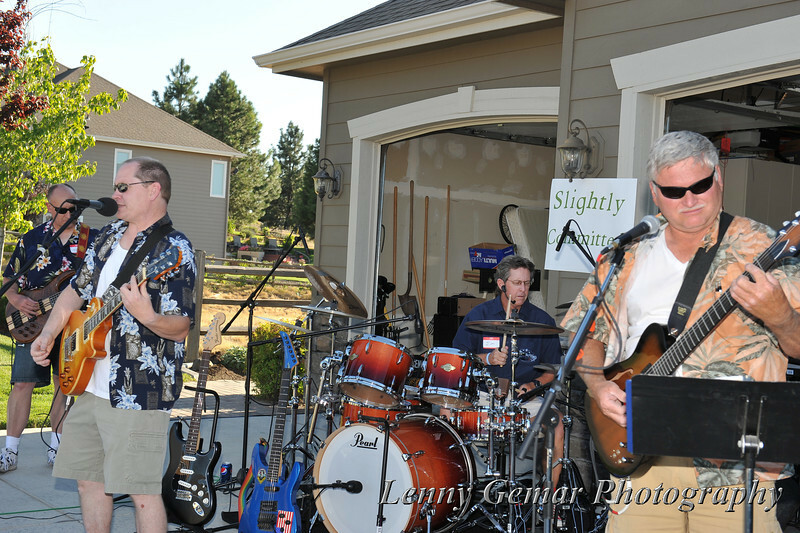 8/20/2011 Spokane Valley - The Spokane-area band "Slightly Committed" expanded from a trio to a quartet three weeks ago. Their first gig as a foursome was to play out at a block party. Neighbors, and friends from miles away, gathered for good food, drink, and fun music on a beautiful sunny summer afternoon. As they say, "a good time was had by all."